We stopped here, in Vredehoek, at about 10am for our first stop of the day - breakfast at Woodlands Eatery. However, even though the information we found said that they were open from 9am - they appeared not to be open - the door was closed and there was nobody in sight. 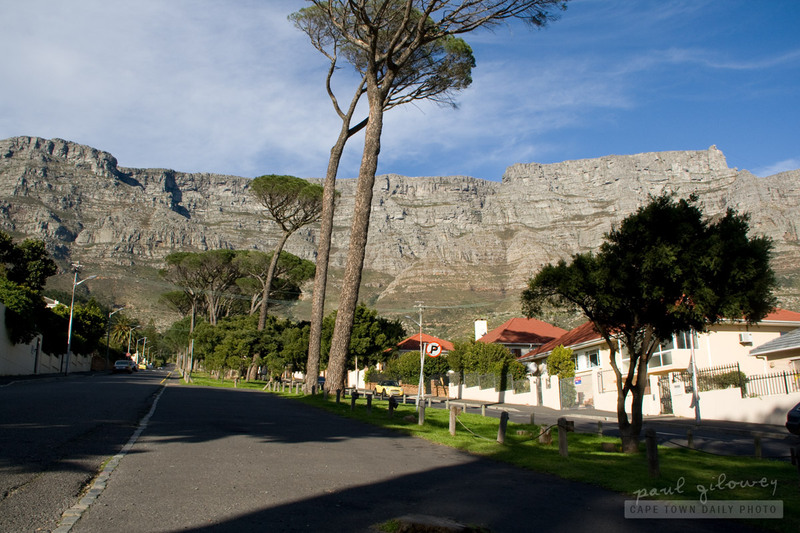 Posted in Landscape and tagged table mountain, vredehoek on Sunday, 10 July, 2011 by Paul.